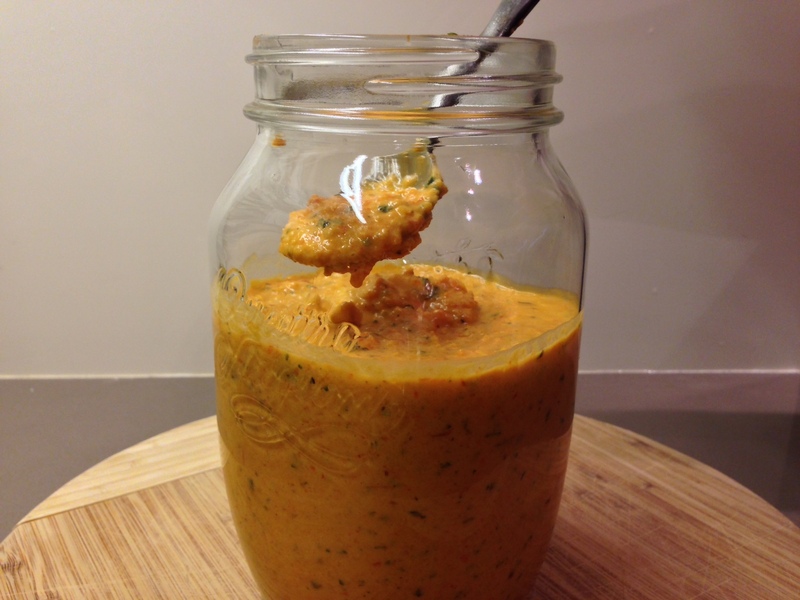 When I wrote this roasted red pepper sauce recipe I was looking for a way to get a good red sauce, with a significantly different flavor than my classic tomato marinara. 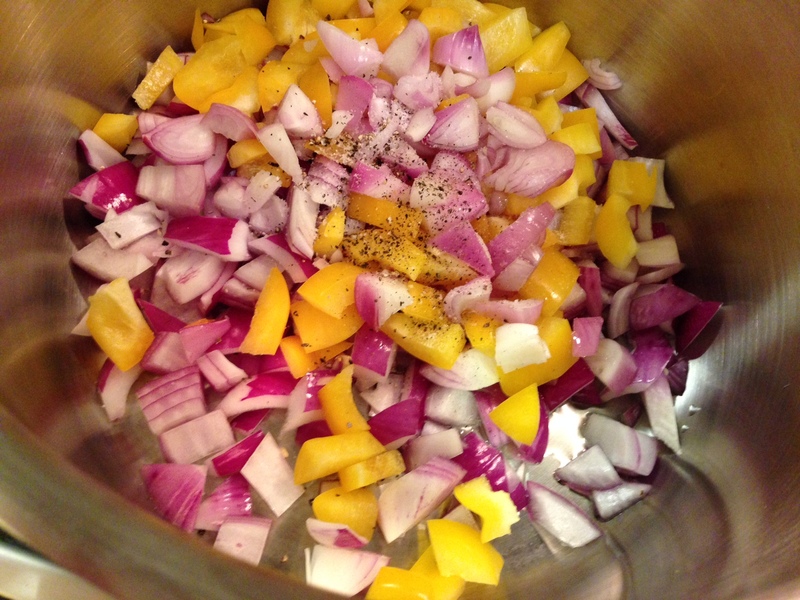 I love using bell peppers, and find them especially delicious when roasted. By letting the skin go a little black you can get a deep, smokey flavor in your peppers. 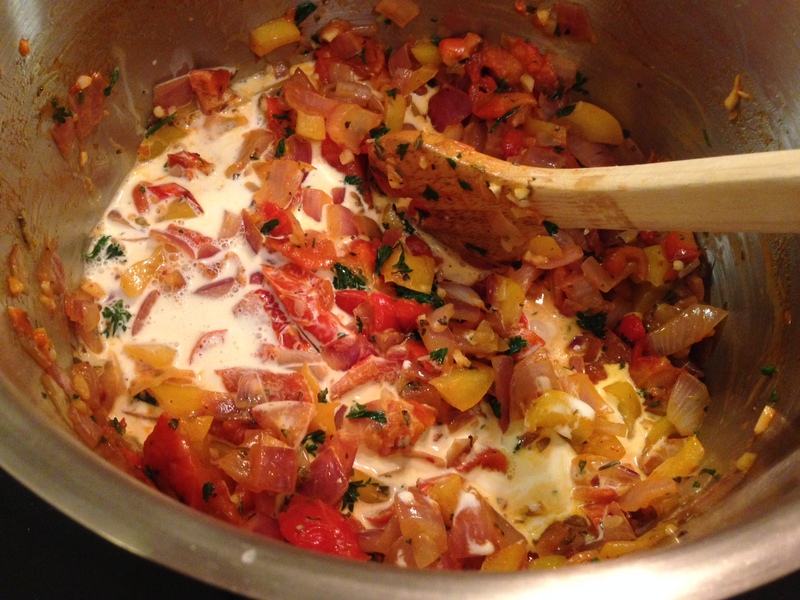 Though I don’t use any tomatoes in this recipe, I do add a bit of tomato paste early in the cooking process. 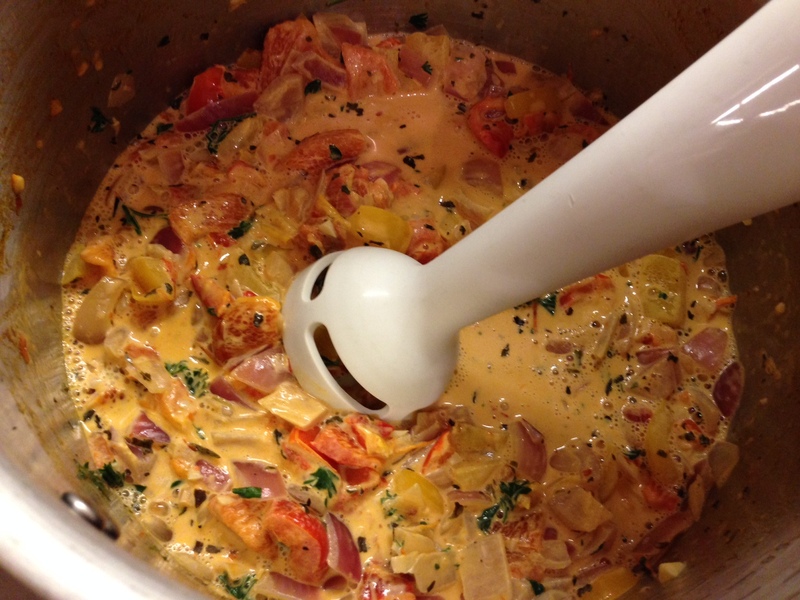 It’s more of a supporting player in this sauce though, the same goes for the garlic, onions, and vodka. 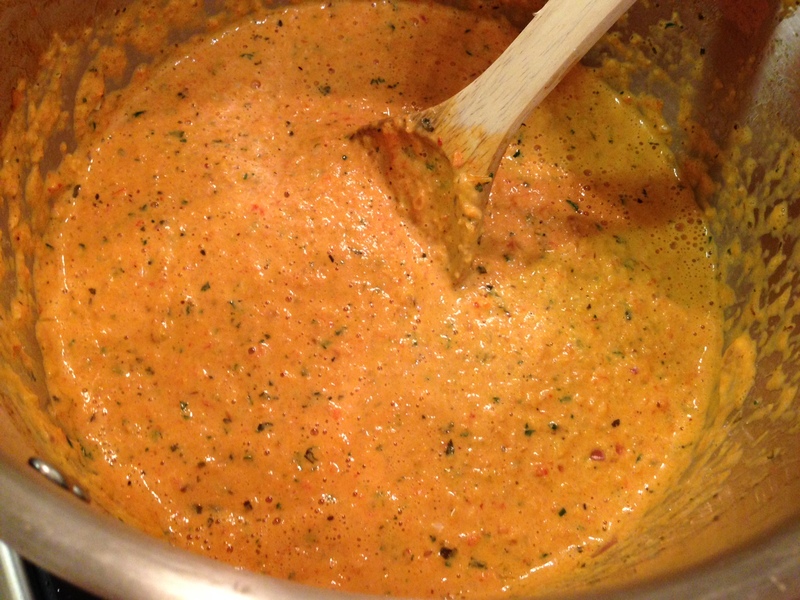 The real flavor comes from the roasted red peppers. 1. Preheat your oven to 550 degrees fahrenheit. 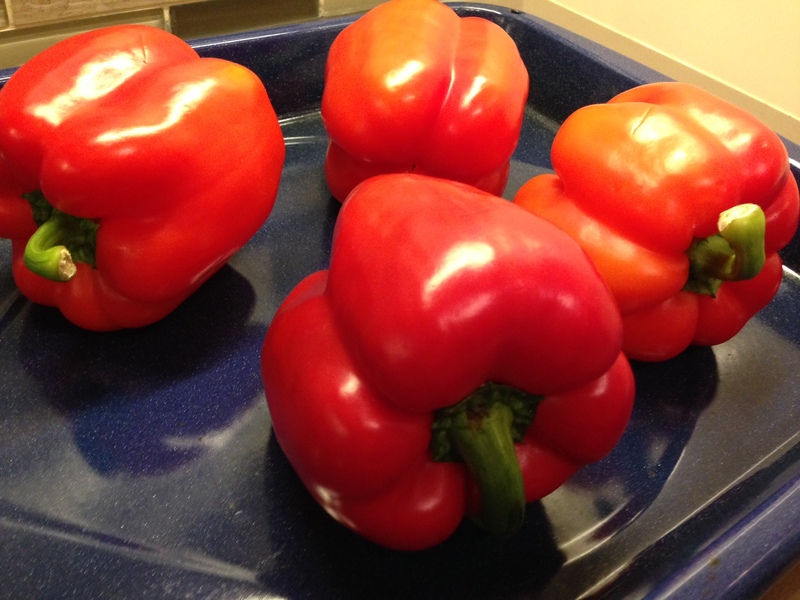 Wash and dry your bell peppers, then place them in a pan. Roast in the oven for 20 to 30 minutes or until charred. 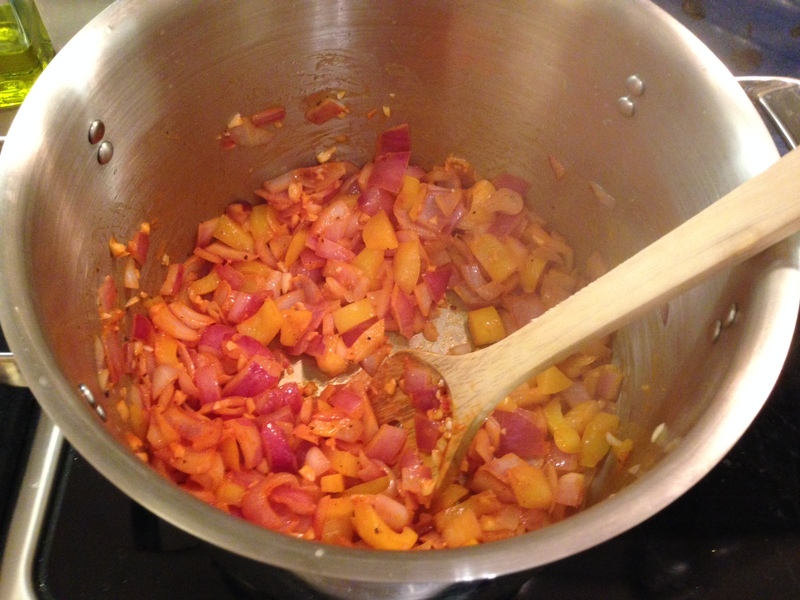 You’ll need to rotate the peppers a few times to ensure they blacken evenly. 2. 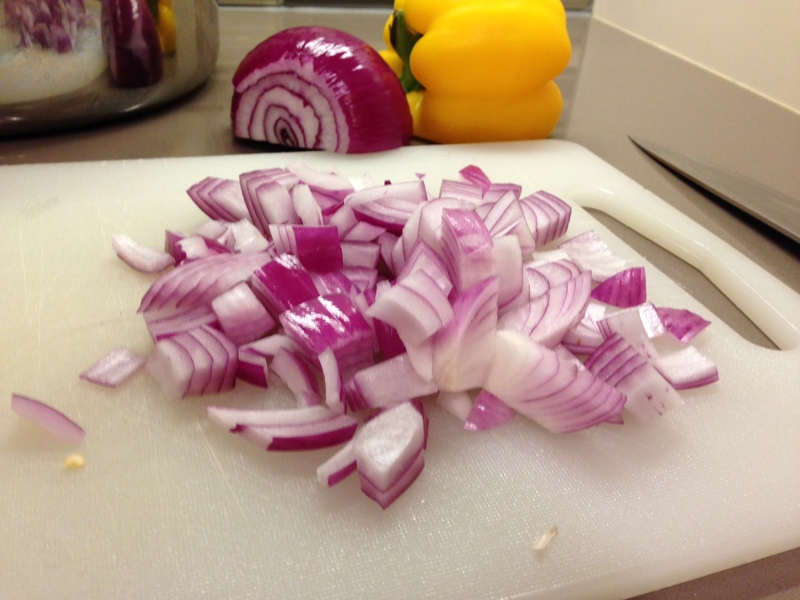 While the red peppers are roasting, chop up a yellow pepper and your onion. 3. 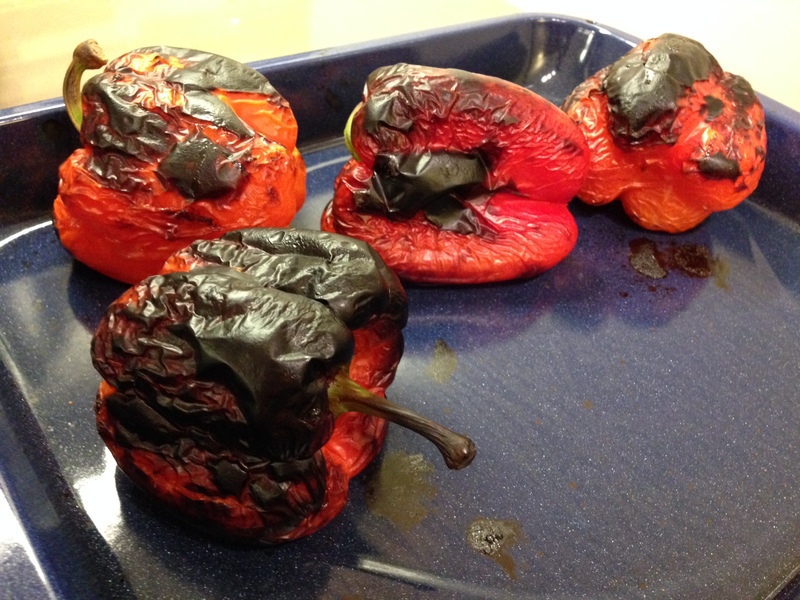 Remove red peppers from oven when they are nicely blackened like the photo below. 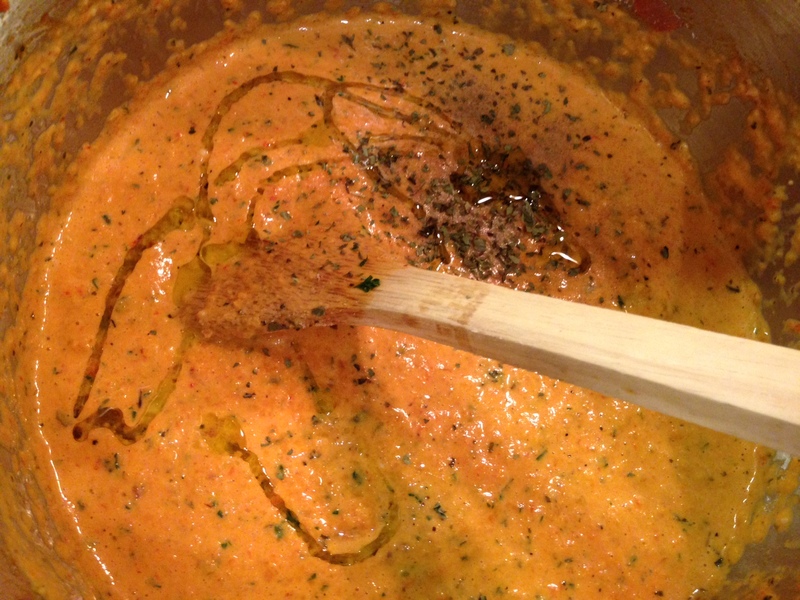 Don’t be afraid of the burnt skin, it’s an important part of the flavor of this sauce. 4. 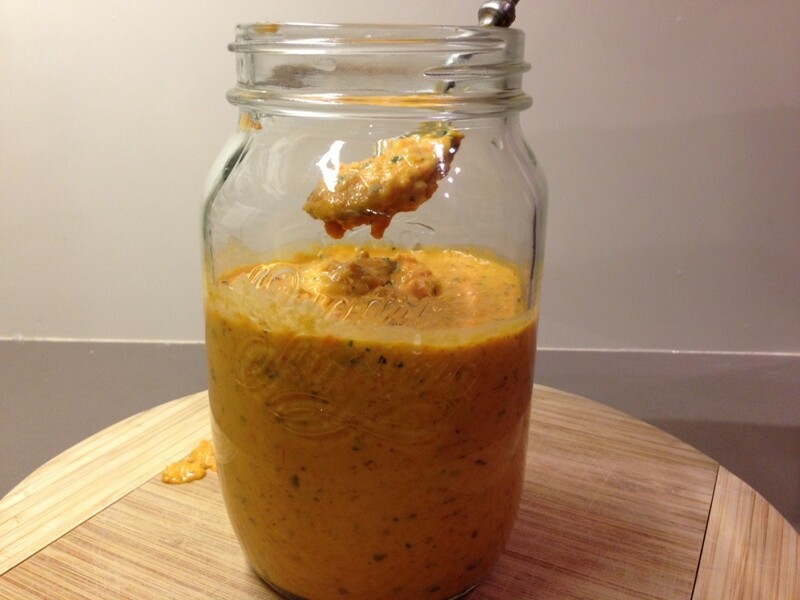 Carefully place hot peppers immediately into a ziplock bag, or a bowl covered with saran wrap so they can steam. Let them sit for about half an hour. 5. 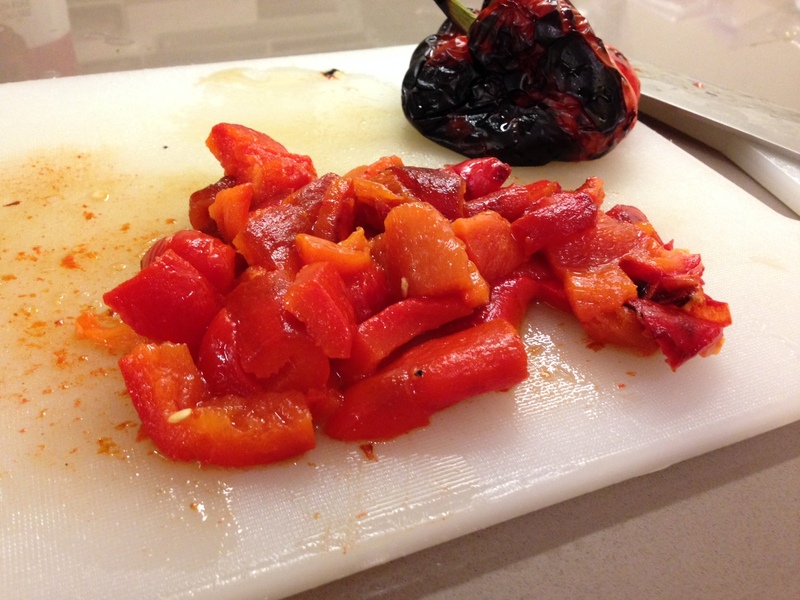 Remove the skins, seeds, and stems from your peppers so that you are left with the soft flesh. Dice into small pieces. 6. 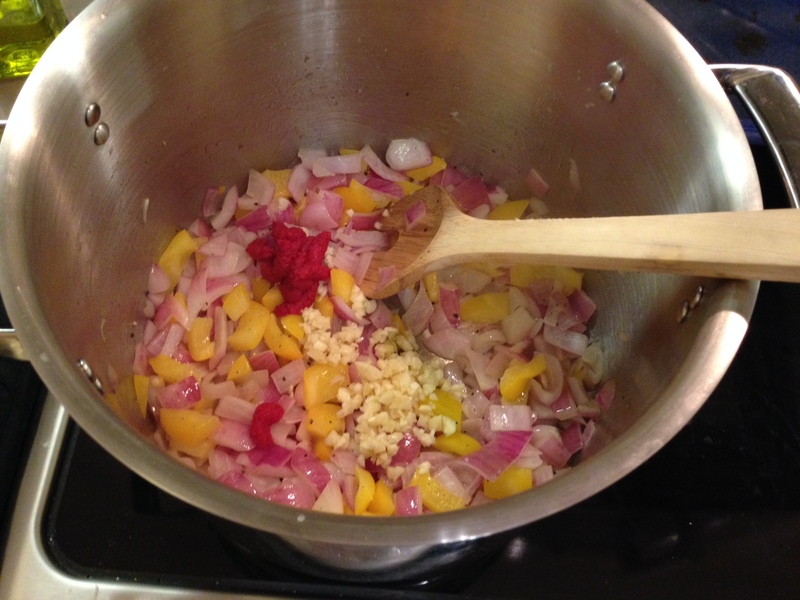 In a large sauce pan, combine onion, yellow bell peppers, a hefty Tbsp of canola oil, salt, and white and black pepper. Cook over medium high heat. 7. 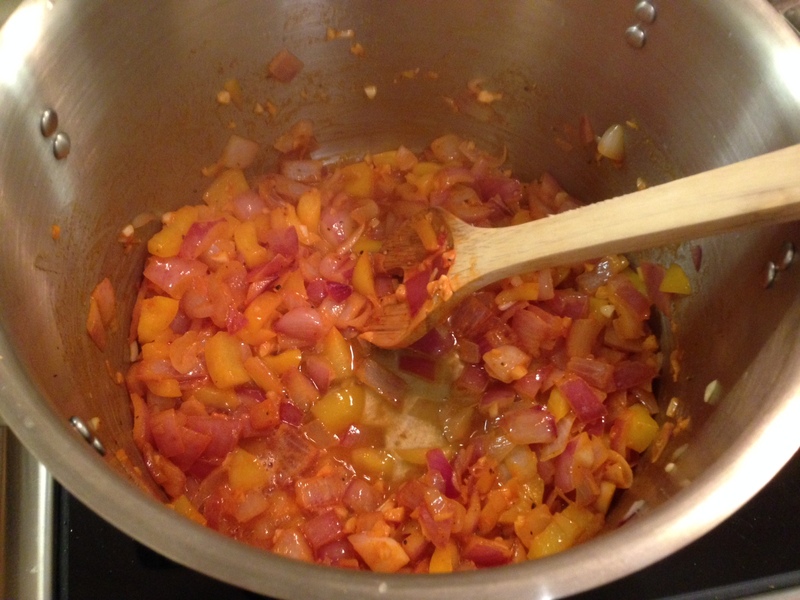 Once the onions begin going soft (about 5 minutes), add garlic and tomato paste. Stir constantly. 8. Deglaze pan with vodka. 9. 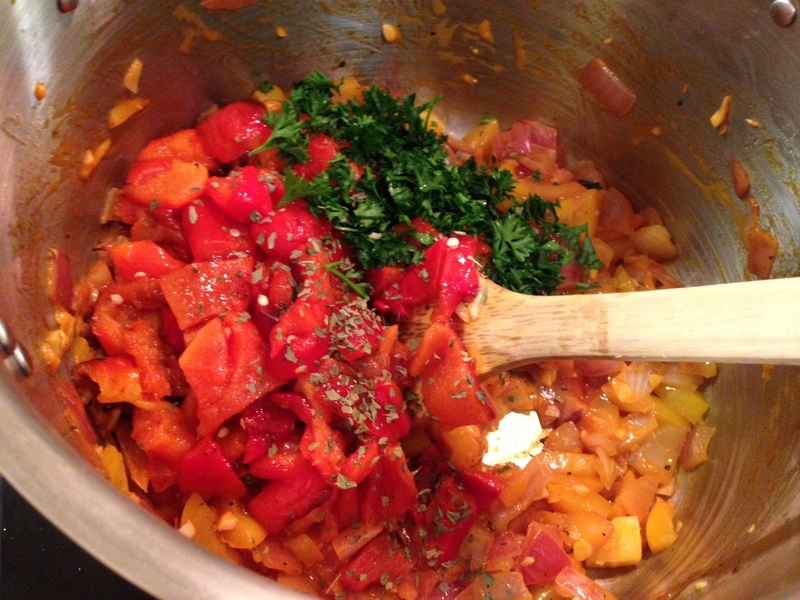 Add roasted peppers and a handful of herbs. 10. 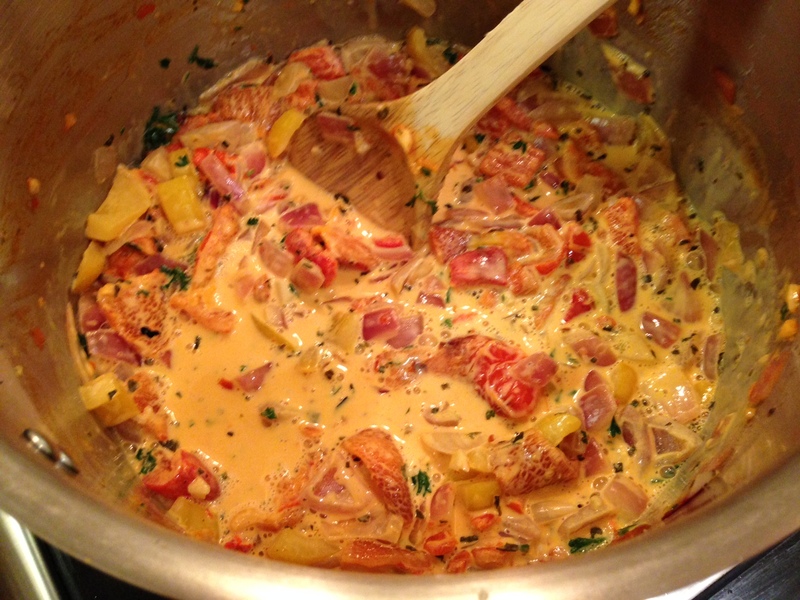 Add heavy cream, bring to a boil, then turn the heat down to low and let simmer for about 10 minutes. Stir frequently. 11. 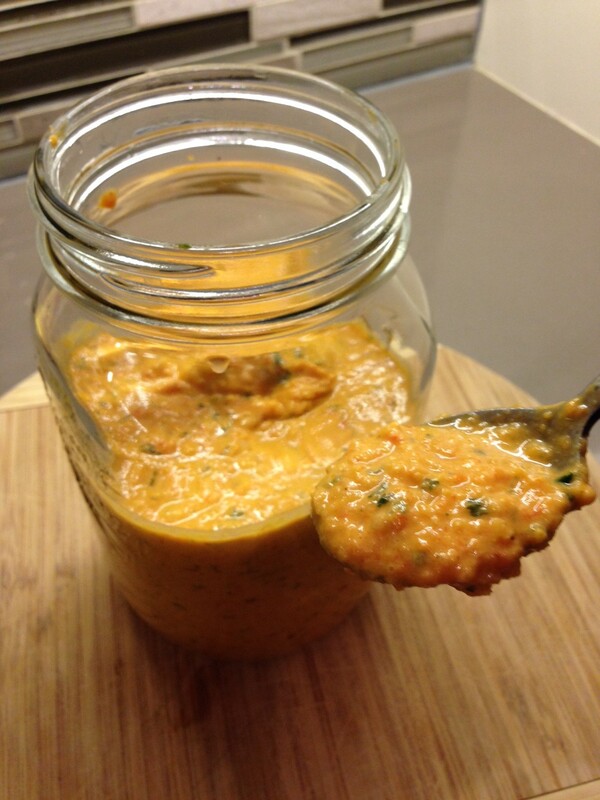 Remove from heat, then blend using an immersion blender until smooth. 12. 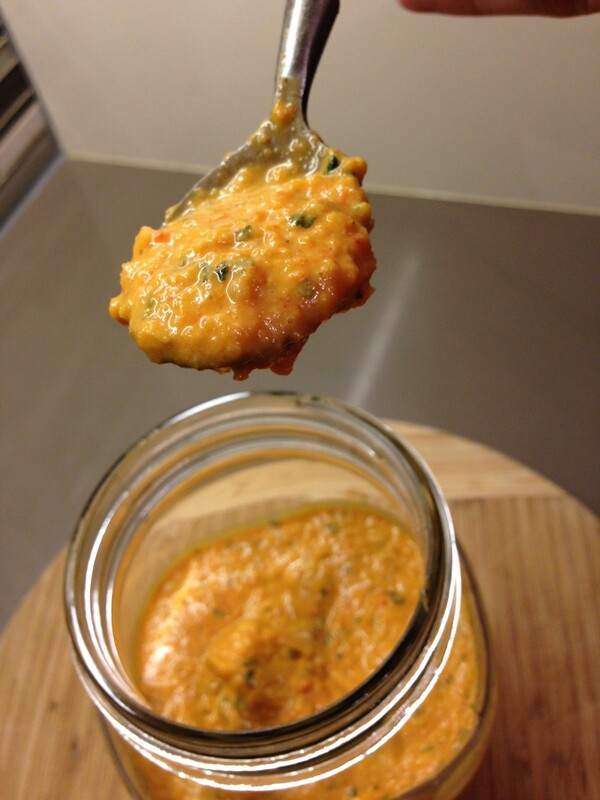 Add grated pecorino cheese, stir, then add a drizzle of olive oil. 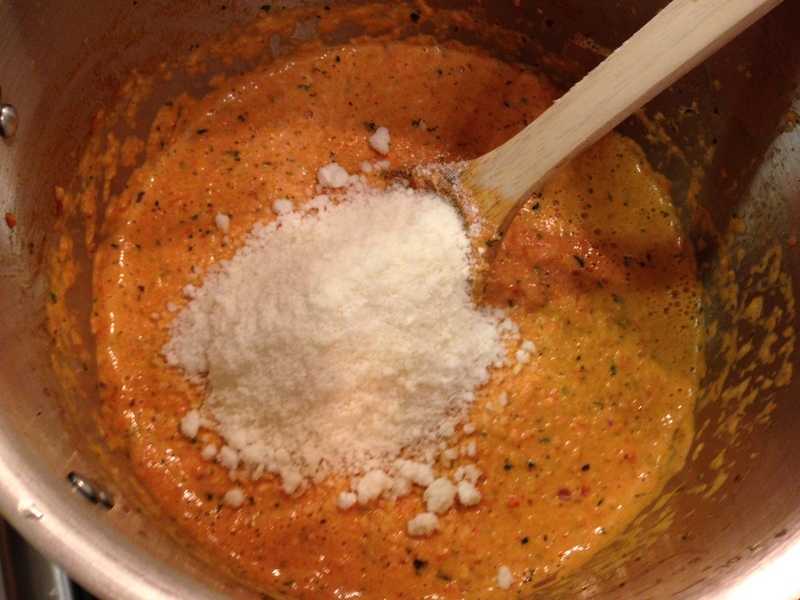 Taste and season with additional salt, pepper, and dried herbs as needed.